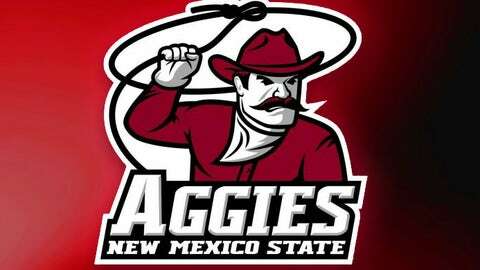 PHOENIX (AP) — Kevin Aronis scored 20 points and Western Athletic Conference favorite New Mexico State opened its league schedule with an 84-62 victory over Grand Canyon on Saturday night. Aronis made five 3-pointers in the first half when the Aggies (12-5) took a 45-31 lead. Grand Canyon got within 10 points early in the second half but no closer. NMSU’s Daniel Mullings added 15 points and DK Eldridge 14. Edlridge grabbed 10 rebounds and Tshilidzi Nephawe 11 in the absence of 7-foot-5 teammate Sim Bhullar. Bhullar was rested as a precaution because of a bruised foot. Bhullar, coming into the game, was the team’s leading rebounder, shot blocker and best percentage shooter from the floor. His playing status is day-to-day. Jerome Garrison scored a career-high 25 points for the Antelopes (6-9, 1-1), who hadn’t lost at home since Feb. 2, 2012. Grand Canyon has lost six of its last seven games.